Bi-folding doors are becoming one of the most popular ways to enhance your home. With more open space provided via the concertina effect and large amounts of clear unrivalled glass affording fantastic views, it is little wonder at their attractiveness. This coupled to the fact it can also reduce financial bills on heating or air conditioning makes it a very desirable product. 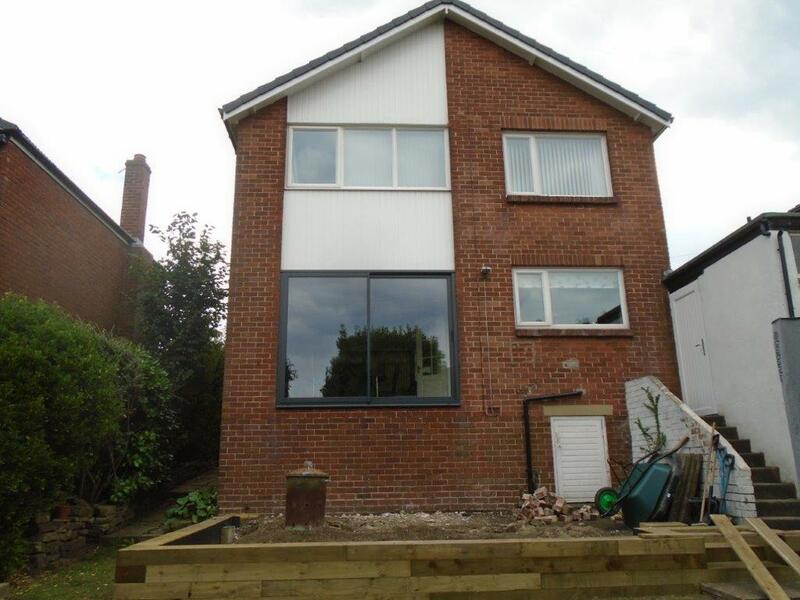 For these reasons and many more, Clearview were contact by Mr and Mrs Booth who were looking to change their current arrangement and make a much larger opening into their garden. The couple like to spend time outside and bi-folding doors allows them to bridge the gap between indoor and outdoor living by creating a 90% clear opening into their home. Due to the opening which is only 2.3metres wide, it was agreed that a three pane bi-folding door would be the best choice for the space, with the concertina going towards the right (looking from outside). The frame is provided by our suppliers Aluk who are leading experts in the manufacture of aluminium frames, with high levels of support as standard. The glazing, which will be high efficiency glass meaning that it will also have heating and cooling benefits, is in the following arrangement: 4mm toughened outer, 20mm argon filled cavity, 4mm toughened low-e inner. Such is the quality of the glass, during the summer months, it will help to maintain a cooler internal temperature. Reflecting the sun rays away from the inside, however in the winter it will trap the warm air from the heating and help to reduce heating costs. With large amounts of glass on show, people often fear that they will have less security than their previous option. However, aluminium windows and doors are highly secure due to stringent testing which is carried out during the build process. All Cleaview manufacture products come with Anti-Bump, Anti-Pick, Snap Secure, Kitemarked high security locks as standard and if you require, more multiple locks can be added. For ultimate peace of mind, all doors come with a 10 year guarantee. This covers the aluminium, glass, powder coating and the installation. 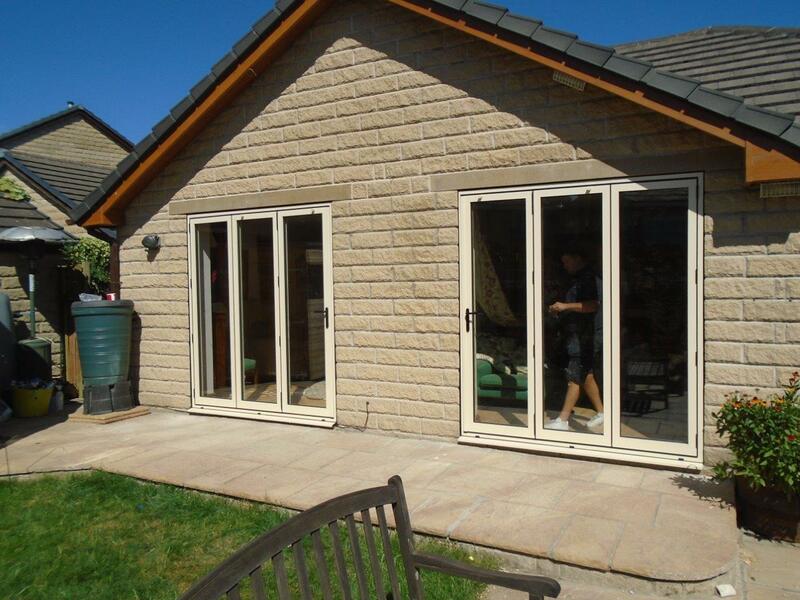 If you are interested in adding bi-folding doors, or other alternatives which include sliding or patio arrangements to your home in Yorkshire, please do not hesitate to get in contact with our team. 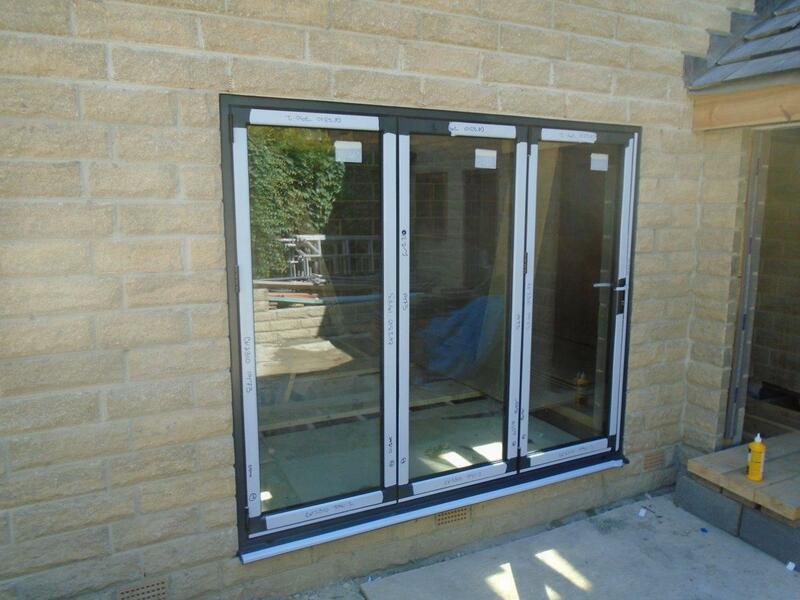 With great lead times of less than 12 weeks, you can get your doors installed in time for the summer period. Call us on 0800 1357167 to discuss your needs.